We engage with our communities every day. Partnering with communities not only enables us to address local needs, but also to improve our own internal tools and processes for engagement. By sharing these successes and best practices across the company, we continuously enhance our ability to be responsive and create better environmental, social and economic outcomes. We’ve achieved a 65 percent increase in community interactions in 2016. 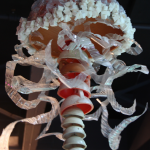 2 emphasizing education, such as giving a facility tour or a presentation about EfW or sponsoring a scholarship program. In line with our Community Outreach and Environmental Justice Policy, our goal is to listen to our community to guide our interaction, so that we can best respond to their needs and interests. In 2016, we increased community interactions by 65 percent from the prior year, completing 446 activities company-wide, compared to 269 in 2015. We met our goal of eight community interactions per facility at 93 percent of our locations, only falling short of that target at a handful of plants where we can only act in a supporting role due to client constraints. 100 percent of our facilities without client constraints met our goal. In addition to our EfW facilities, transfer stations operated by Covanta employees and associated with an EfW facility began reporting their activities in 2015. The program is currently being expanded to our materials processing facilities. Community relationships begin early in the drafting of contracts with our municipal clients. 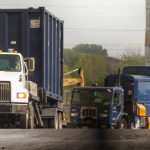 We work with neighborhood representatives to solicit their input on contractual performance standards for waste processing, energy efficiency, energy production, environmental management, delivery hours, odor mitigation and other aspects of our operations. Beyond contractual terms, our operations are governed by stringent environmental, safety and health regulations. We care deeply about the safety and health of surrounding communities and believe it’s important to communicate how our innovative technologies and processes provide cutting-edge protection. For example, one of the natural extensions of our safety and health program is emergency preparedness. 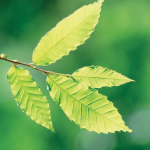 Covanta has developed an Emergency Action Plan (EAP) for each community in which we operate. 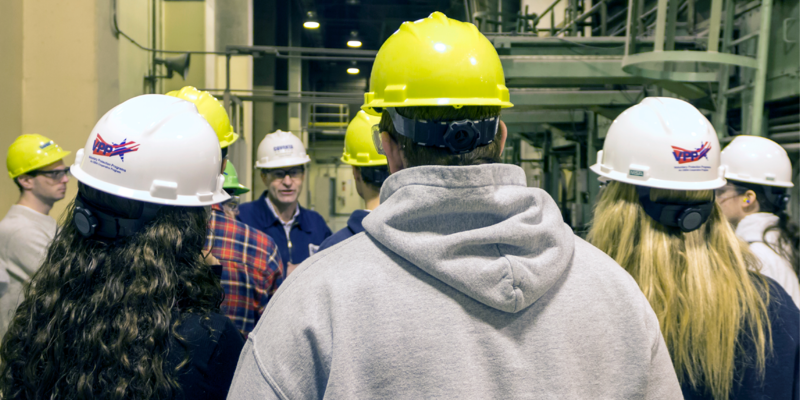 All facility personnel complete an exam regarding EAP provisions when they begin working for Covanta and participate in annual certification. Please see our Total Health & Safety Policy for more information. We are also deeply invested in upholding and promoting the principles of Environmental Justice (EJ). This includes our belief that all communities have a fair opportunity to provide input to the decision-making process about matters that affect their local environments. With these objectives in mind, we maintain a robust Community Outreach and Environmental Justice Policy that outlines our specific commitments to the communities where we have facilities. Once facilities are up and running, we also stay in touch with key community stakeholders. 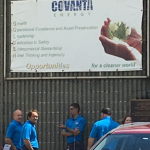 In 2016, we piloted a small survey to obtain baseline and candid feedback about the effectiveness of our community outreach efforts in three communities where Covanta operates. The survey of representative community stakeholders—including nonprofits, an environmental justice organization and municipal clients—sought to understand how well our programs are being received locally. Designed to lay the groundwork for a more extensive survey in 2017, this initial sample provided a valuable feedback mechanism into our broader stakeholder engagement process. Overall the response was very positive with an overall average of 4.4 out of 5. Our support of community programs also extends to local charities. Globally, we donated approximately $2 million per year in both 2015 and 2016 to local efforts. Communities benefit economically from the close partnerships we have with them. The jobs we create are among the most direct outcomes, along with indirect social gains in the form of new supplier and vendor contracts. For example, our new 1,500-ton-per-day EfW facility in Dublin, Ireland, has created approximately 375 jobs during its three-year construction period from 2014 to 2017, and the facility is expected to support up to 100 permanent jobs. Once completed at the end of 2017, the facility will have the potential to generate approximately $1 billion in direct and indirect economic activity and provide ongoing economic stimulus to the surrounding Dublin region. Covanta will also provide the Dublin City Council’s Community Gain Fund with an estimated €10 million during construction and up to €600,000 annually after that. To learn more about the new Dublin plant, please see Materials Management. While we’re pleased with our progress on community engagement, some challenges remain. For example, newer facility managers may have limited experience with community outreach, so we are increasing our training and internal support. In addition, our arrangement at each facility is different: in facilities that are client-owned, the client controls the level of outreach and contact with the community. We are starting to overcome these challenges. We are now more invested in our communities and excited to work side by side with our neighbors. We encourage our facility managers to identify staff who enjoy getting out into the community so we can match them with volunteer opportunities. We strive to combine resource donations with volunteerism, so that for an event like a litter cleanup, we are donating not only bags and gloves, but also our time. We aim to meet with our municipal clients and customers face-to-face at least once a year, not just when there’s an issue. But when there is, having a solid community interaction strategy in place helps position our facilities to address local grievances quickly and proactively. Every opportunity we get to be more involved with the community is an opportunity for us to become a better neighbor. 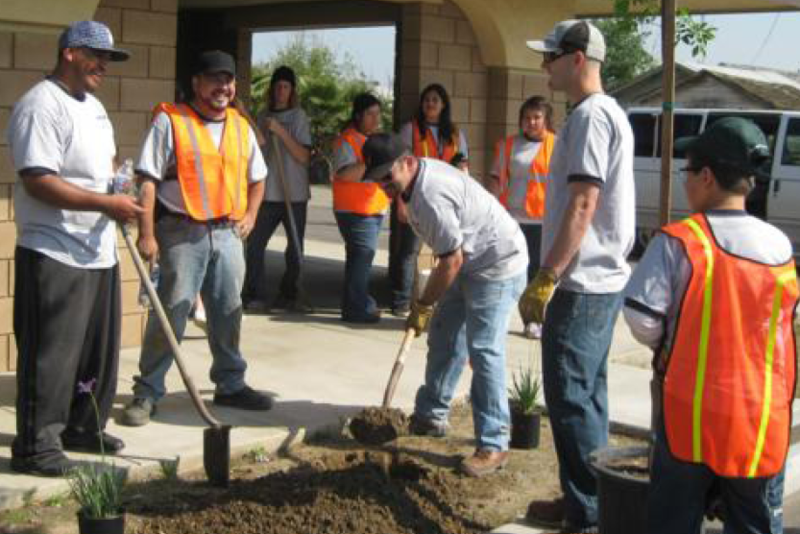 Covanta believes in giving back to the communities where our employees live and work. To demonstrate our commitment to this principle, we created a pilot program, launching in 2017, at one facility in each of our regions called Covanta Cares. This employee volunteerism initiative provides Covanta employees with paid time off to participate in volunteer/community service activities with a nonprofit organization of their choice. 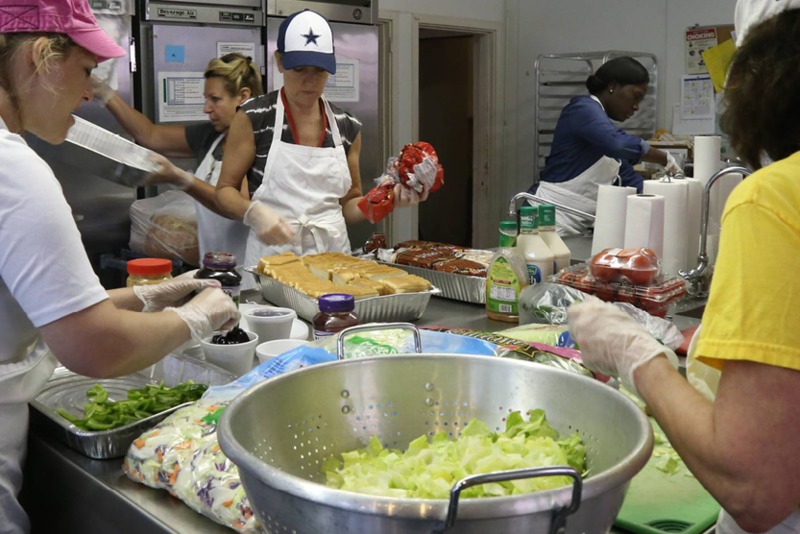 Employees are given the equivalent number of hours as their regularly scheduled shift to use in a minimum of half-shift increments for volunteer work. 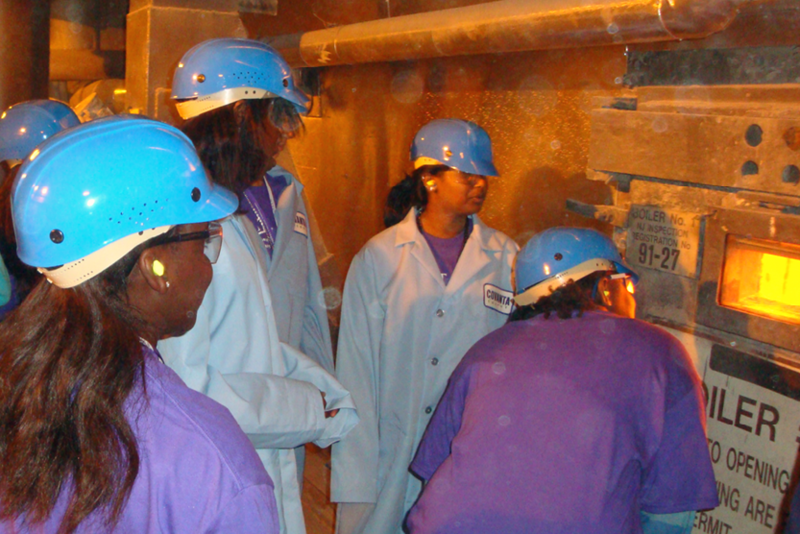 Covanta hosts about 20,000 visitors at our facilities every year.